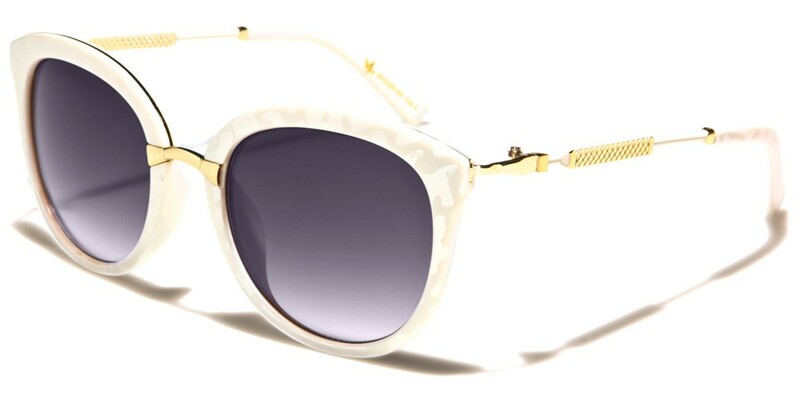 These round sunglasses from VG have a little bit of everything. 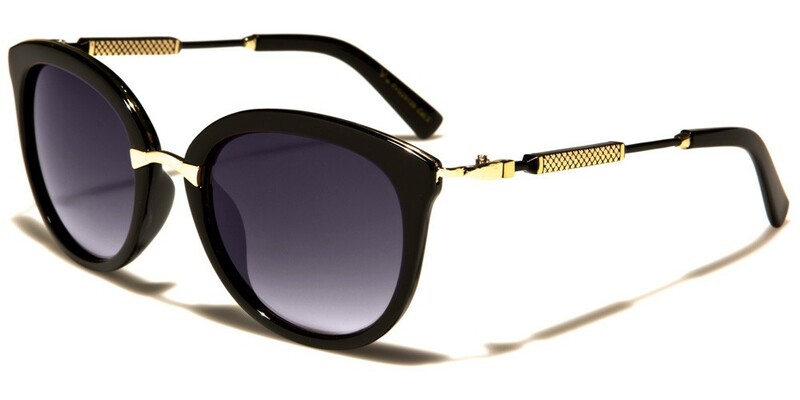 Thick, black cat-eye rims, gold accents and three color options make these a fantastic pair of shades for the independent, sophisticated, flirty and fashionable woman. 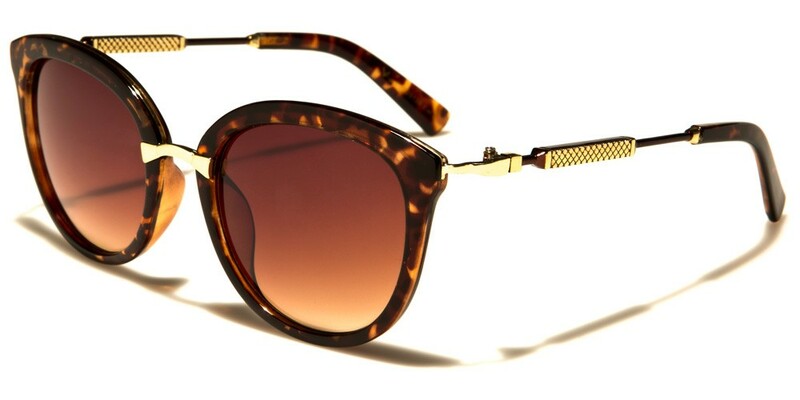 Delicate pattern detail along each arm and a narrow, metal bridge catch eyes, while UV-blocking lenses protect them. These are avalable in boxes of a dozen.